Thinking about drafting a will and how you want your assets to be distributed upon your passing may seem like a grim or morbid thought. However, putting this off can be a risky thing, as not having a will upon your death can end up costing your loved ones a lot of stress, time and money. Did you know that Colorado wills may not govern all of your assets? Here are some more important facts about Colorado wills. Contact us for experienced help with Colorado wills. Taking a closer look at the importance of Colorado wills, in this blog series, we will highlight some of the more crucial facts you may need to know about wills in Colorado – regardless of whether you currently have a will in place or you have been putting off developing a will. While the information herein is generally helpful, however, you can get more specific advice pertaining to your situation, as well as experienced help drafting, revising and administering Colorado wills, by contacting the trusted Denver estate planning attorneys at JR Phillips & Associates. Fact 1 – Holographic Colorado wills are legal but can be problematic. Notarized by an official Notary Public. Generally, it’s advised that all of the above-noted steps occur at the same time (so that the witnesses see the will being signed and dated by the willmaker, after with the holographic Colorado will should be notarized). Despite the fact that Colorado law does permit these types of less formal wills to be used, it’s crucial to point out that these wills tend to create complications upon the willmakers’ deaths, as holographic wills are often open to allegations of ambiguity and/or being defective. When such allegations are raised, they can lead to further delays and costs in administering the will. In the most complicated cases, holographic Colorado wills can result in expensive, contentious litigation. Fact 2 – Certain types of assets won’t be governed by Colorado wills. 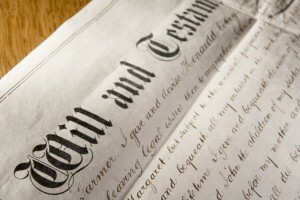 While Colorado wills can detail your wishes regarding how much of your assets are to be handled/distributed upon your death, these wills will not necessarily be able to dispose of all of your assets or property, depending on how that property is held. Are jointly owned (i.e., are not solely owned by you) – This can include things like real estate, homes and bank accounts. Already have beneficiary designations – This may include items like life insurance policies and IRA accounts. So, this can mean that, as you are developing a will or once your will is in place, you may also want to add or change designated beneficiaries to certain policies or accounts. To get some more important information about Colorado wills, check out the additional parts of this blog series that will be posted soon. Are you ready to draft or update a will? If so, you can turn to the estate planning lawyers at JR Phillips & Associates, PC. To find out more about how we can help you, let’s meet for an initial consultation. You can set up this meeting by calling (303) 741-2400 or emailing us using the contact form at the top of this page.